Martha’s the tallest chicken on the farmand it’s not because she hit a growth spurt. Unfortunately, instead of normal chicken legs to hold her up, Martha’s legs are two giant yellow springs. After a run-in with a nasty fox, the farmer does the best he can to fix poor Martha, but it just isn’t the same. Now, she’s too tall to fit inside the chicken coop like all the other hens, her eggs are always smashed and scrambled since she’s so high off the ground, and it’s difficult to maneuver such big legs without stepping on a few toes and ruffling some feathers. But when the fox comes back, can Martha and her spring-legs muster the courage to save the day? Will that be enough for the brood to welcome her back? 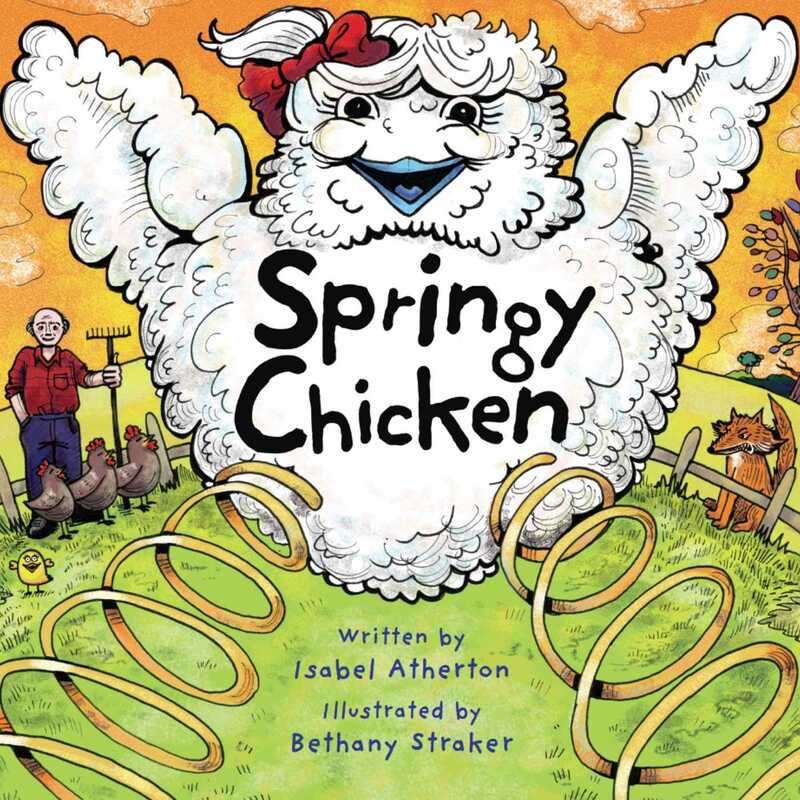 Featuring an empowering story of acceptance from author Isabel Atherton, and bold, colorful illustrations by Bethany Straker, Springy Chicken celebrates that we all have something special to offer.